In America, the leading cause of liver damage is overuse of Tylenol and other medications which contain acetaminophen. Tylenol is one of the most common over-the-counter pain relievers in the world. For decades, it has been one of the leading pain relief medications. Taking Tylenol has been associated with liver damage and failure. Americans who have been injured by Tylenol may be entitled to financial compensation. Johnson & Johnson is being accused of failing to warn consumers about the dangers of Tylenol. The dangerous drug lawyers at Goldberg Weisman Cairo are evaluating Tylenol cases. A skilled drug litigation law firm on your side is essential for patients who have sustained life-threatening injuries from this medication. Over-the-counter drugs are supposed to be safer than prescription medications; that a common over-the-counter drug is injuring Americans is quite shocking. Tylenol personal injury claims are restricted by statutes of limitations which limit when and how an injured person can file a lawsuit. Persons eligible to file a Tylenol lawsuit include those who have been directly injured by the drug, parents whose children have been injured and family members who have lost a loved one to acute liver failure caused by acetaminophen overdose. A successful lawsuit may help victims reclaim medical expenses, emotional injury and loss of wages and earning capacity. Family members who have lost a loved one may recover compensation under a wrongful death lawsuit. Goldberg Weisman Cairo offers free, no-obligation case consultations. Act quickly, to ensure that you do not lose your right to make a claim. The key active ingredient in Tylenol is acetaminophen and the drug is produced by pharmaceutical giant Johnson & Johnson. Tylenol belongs to a class of drugs called analgesics, which are used to relieve common aches and pains. The drug is commonly sold over-the-counter and is also included in many prescription pain medications. Many drugs such as Percocet and Oxycet use acetaminophen as a key ingredient. However, the labels dont always reveal that acetaminophen is used in these drugs. Patients who are unaware of the ingredients in their pain medication are injured when they overdose on acetaminophen, which causes severe liver damage. Tylenol injures the human liver because the drug is metabolized in the liver. When Tylenol is broken down by the liver, the drug produces a byproduct called glutathione, a dangerous toxin that can cause liver damage and liver failure. More than 50,000 Americans are rushed to the emergency room each year because of acute liver failure. 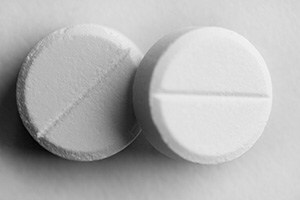 More than 400 die from acetaminophen-related liver complications every year. Who is at Risk for Liver Failure? Patients who are fasting or who are on a restricted calorie diet are particularly susceptible to liver damage from Tylenol use. Patients who are taking both over-the-counter acetaminophen containing drugs and prescription medications with the ingredient are also at a greater risk for liver damage. Additionally, infants and individuals who suffer from chronic pain or drug use are particularly vulnerable groups. In fact, many infants die each year when their parents give them adult acetaminophen products instead of drugs specifically designed for infants. In 2011, the U.S. Food and Drug Administration (FDA) issued a safety warning linking the use of Tylenol to liver damage. The FDA urged pharmaceutical companies to reduce the amount of acetaminophen used in their medications. Additionally, the FDA required new stronger warnings on labels to warn patients and doctors about the risk of liver damage. However, the FDA’s warnings did not apply to over-the-counter Tylenol medications. Numerous medical studies have revealed that consumers often take more than the recommended amounts listed on over-the-counter medication labels. Consumers are urged to read the labels of over-the-counter drugs containingacetaminophen carefully and to follow the recommended dosages closely. Hundreds of lawsuits have been filed all over the country. Injured consumers and their attorneys are alleging that Johnson & Johnsons products have caused severe liver damage. The Tylenol federal cases have been consolidated in a multi-district ligation proceeding to streamline the process. Tylenol lawsuits have been filed in states across the country on behalf of infants and adults injured by the drug. An attorney can review your case to determine how and where you should file your Tylenol personal injury lawsuit.